Hello my name is Loretta. 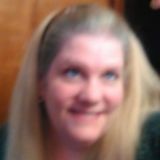 I am searching for pet service provider work opportunities in Plum, Murrysville, PennHills, Delmont,and Export,Pittsburgh,Pennsylvania. I aim to utilize my skills as a pet service provider. Available now. I have litter/birth experience. We are All Animal Pet Care Services providing care for dogs, cats, domestics, exotics, fowl and barn animals. A 20 year old animal lover, I am enthusiastic, and a caring individual who is looking for a more relaxed animal care job.